WHO ARE THE FIGHTING TIGERS? Fighting Tigers is a Non-for-Profit Organization that was started by Tavia Morse-Salvadalena. Tavia is a business woman and entrepreneur who is fighting Lyme currently. Tavia was diagnosed with Chronic Lyme disease in October of 2015 after many years of not getting answers about her random health symptoms. 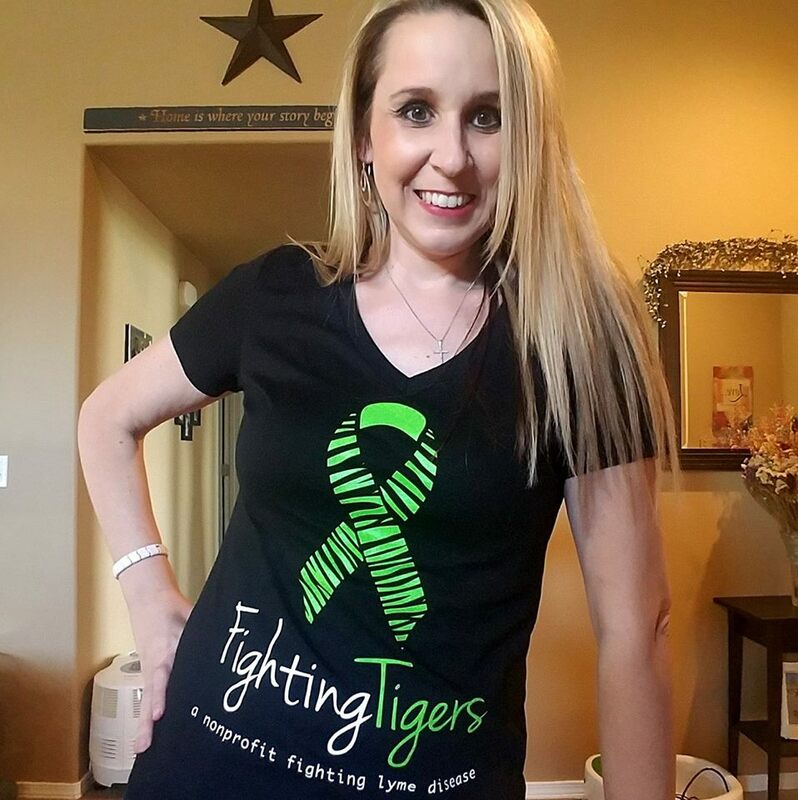 Tavia started up Fighting Tigers in April of 2017 because she felt there are so many other people that need to be helped with this horrible disease. Everyone is a fighting tiger as we fight the fight back to health. Most fighting tigers of LYME can’t afford the financial burden that Lyme brings on. Therefore, Tavia thought it would be a great idea to set up a fund for those that need that little extra help. Tavia understands the financial burden a Lyme diagnosis can have on a family, therefore she is paying it forward by giving back. WHERE DO YOUR DONATIONS GO?/ HOW CAN YOU HELP? All donations go back to Lyme Patients directly. Lyme disease is a very hard to diagnose. It took Tavia over 10 years to get ther Lyme Disease diagnosis. The current testing is only 50% accurate, so we need better testing! We also need more people to get tested as soon as symptoms arise. Your donation will help people get the most accurate and fastest test possible. Furthermore, treatments for Lyme patients are very expensive. Since most treatments are considered “alternative” by the insurance companies, most end up paying out of pocket. Your donation to Fighting Tigers will help give others supplemental money to help get the treatments that are not covered by insurance. Every dollar you donate will be carefully distributed to a person that is in despearate need to seek help from Lyme Disease. Lyme Disease is life changing and is a deadly disease. We need help now! How can you help? There are many ways to help raise money! ? Make a simple donation on our page! Its that simple. Become involved -attend our fundraising events! Watch for our announcements. Follow us on Facebook! Become an affiliate of Fighting Tigers. SEE OUR LINK on our HOME PAGE. Affiliates can advertise their services/products on our site while giving back to Fighting Tigers. WHO CAN APPLY FOR FINANCIAL HELP? Individuals can apply for financial help by way of a “Grant”. Using the below application each individual can tell their story as to why they need financial help and how much money they are seeking. Funds are issued on a case by case basis. Even though an individual may ask for a certain amount, individuals may only receive a % of the necessary amount they are seeking. Fighting Tigers has the right to accept or deny any application with or without a reason. Funds are limited to the amount available in the Fighting Tiger account.